March Madness may take some of the focus away from the NBA for basketball fans but there is still more than enough drama and excitement in the NBA this week. There were some great games on Sunday and there will be plenty more big basketball betting opportunities available on Monday. The Thunder held on for a 109-100 win against the Bulls while the Cavaliers swept the Magic away in Orlando, winning by a score of 108-123. The Trail Blazers triumphed in Toronto, winning by 97-113 and the Suns grabbed a home win, defeating the Knicks by a score of 102-89. The Rockets were winners in Los Angeles, defeating the Clippers in a narrow game, winning 98-100 and the Nuggets won in New Orleans, triumphing by a score of 111-118. The Spurs dismantled the Timberwolves 123-97 and the Hawks won in Los Angeles, downing the Lakers by a score of 86-91. The Trail Blazers are in stunning form at the moment but they find that they are pushed to the limits against the Washington Wizards. The Wizards went had been going through a tough spell themselves of late but they still have great players and they were always likely to get back to winning ways. Both teams are on a 3 game winning streak so something has to give in this game and this could be one of the biggest games of the week in the NBA. The Trail Blazers grabbed a massive win against Toronto on Sunday night, winning 97-113 and that was their eighth win in 9 games and more importantly, six of these wins were against teams currently in the play-off positions. Portland currently sit third in the Western Conference and they will be looking to go further. The Trail Blazers hold a 44-20 record which includes a 16-14 record away from home. Their last ten games contains an 8-2 record. The Wizards have a 38-28 record and this includes a home record of 24-10. Their last ten game run isn’t as impressive, standing at 5-5 but their Saturday night win against the Kings by 113-97 was a great boost going into this week. For average points scored, the Blazers have the edge 102.9 to 98.7 while for average points allowed, the Wizards edge it, 97.3 to 97.5. Portland are monitoring Joel Freeland and Alonzo Gee while the Wizards are likely to be without Kris Humphries while they will monitor Garret Temple and Nene Hilario in the run up to the game. 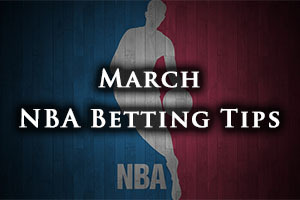 Taking Portland with a +2 handicap, at odds of 1.90, is a great way to get your NBA betting action started. Bet Now! The Celtics are currently enjoying a season high winning run and they now stand on the brink of the play-offs. The Boston side will know that they have a tough run from here but a win against the 76ers should provide further confidence before they face some more difficult challenges. The 76ers have a 15-51 record so far this campaign and this includes a road record of 5-27. The Celtics have a 29-36 record at the moment and this includes a home record of 17-16. The 76ers lost their most recent game, an 87-94 loss at home to the Nets while the Celtics won in Indiana on Saturday night, 89-93. The Celtics have a winning streak of 4 and a 7-3 record in their most recent ten games while the 76ers have a 3-7 record in their most recent 10 games. For average points scored, the Celtics lead by 100.6 to 91.0 and for average points allowed, the 76ers have a narrow advantage, 100.8 to 101.6. The 76ers are monitoring Jason Richardson and Luc Richard Mbah a Moute while Isaiah Thomas is close to a return for Boston. Taking the Celtics -9, at odds of 1.90, is a decent bet to get your week started. Bet Now! These two teams were involved in a trade deal that allowed the Nets to grab Thaddeus Young while Kevin Garnett made a sentimental move back to the team that drafted him. The emergence of Young has seen the Nets hold an outside chance of the playoffs while sadly Garnett has been blighted with knee problems that have curtailed his opportunities to shine. The Nets have a 26-38 record going into this game, which includes a 15-19 record on the road. The Timberwolves have a 14-51 record, which includes a 9-24 record at home. The Nets won on Saturday, defeating the 76ers by a score of 87-94 and the Timberwolves lost on Sunday, defeated by the Spurs by a score of 123-97. The Timberwolves are on a four game losing streak which sees them with a 2-8 record in their last 10, although the Nets don’t have an impressive 10 game record, sitting with a 3-7 record. For average points scored, the Timberwolves edge it, 97.6 to 96.2 and for average points allowed, the Nets lead 99.8 to 105.8. The Nets are likely to be without Sergey Karasev while Alan Anderson will be closely monitored. For the Timberwolves, Kevin Garnett looks set to miss out on a reunion with his former team-mates and Robbie Hummel is a major doubt while Gary Neal, Ricky Rubio and Nikola Pekovic are all being closely monitored. Taking the Nets with a -1.5 handicap, at odds of 1.90, is likely to be a decent bet. Bet Now!